A powerful cyclone in southern India has killed at least 33 people, caused massive damage to homes and roads and drove tens of thousands of people into relief camps, officials said. India's navy assigned two ships and a helicopter for relief work as state authorities rushed drinking water, food and paramedics to nearly 82,000 people who took shelter in more than 400 state-run camps. 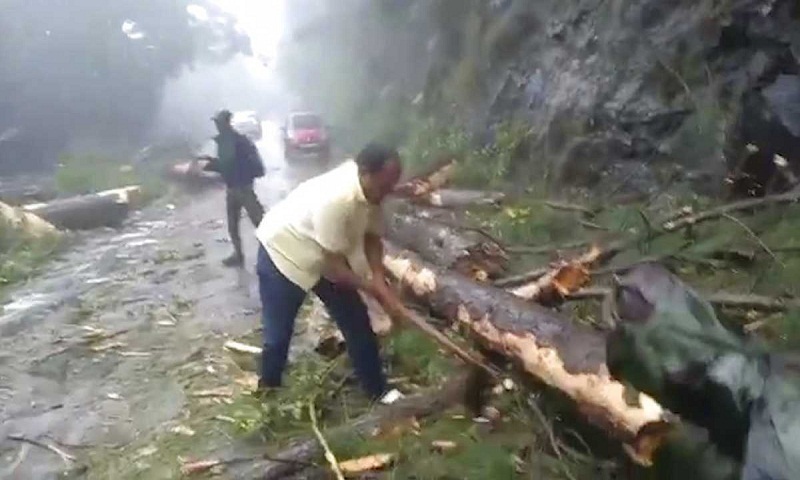 They were evacuated from areas in the path of Cyclone Gaja, which struck six districts of Tamil Nadu state on Friday with heavy rains and winds that reached 90 kilometers (55 miles) per hour. Rescuers found 13 bodies Friday and an additional 20 on Saturday, said Edappadi Palaniswami, the state's top elected official. Most deaths were caused by flooding, house collapses and electrocution. The cyclone uprooted 30,000 electricity poles and more than 100,000 trees, he said. Nearly 10,000 workers were trying to restore electricity supply to the worst-hit areas, he said. Palaniswami said a large number of goats, deer and wild animals had also perished in the flooding over the past two days. Coconut trees over thousands of acres (hectares) of farmland have been uprooted, according to Tamil Nadu Vivasayigal Sangam, a farmers' organization. Tamil Nadu state is prone to cyclones that develop in the Bay of Bengal.